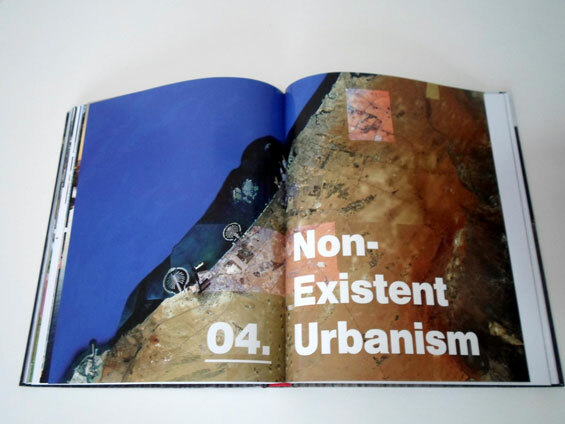 The 300 page book is divided into four sections each focusing on a separate urban condition – 1. 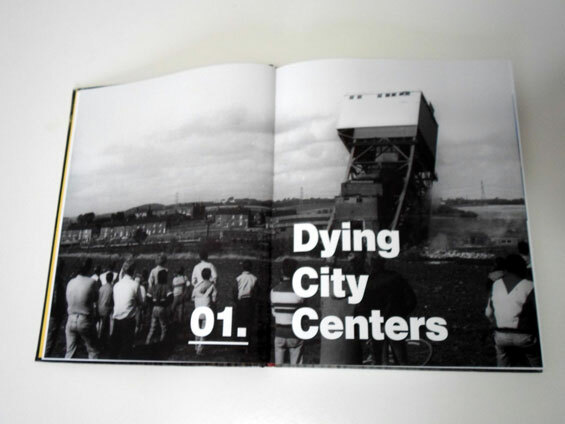 Dying City Centers, 2. 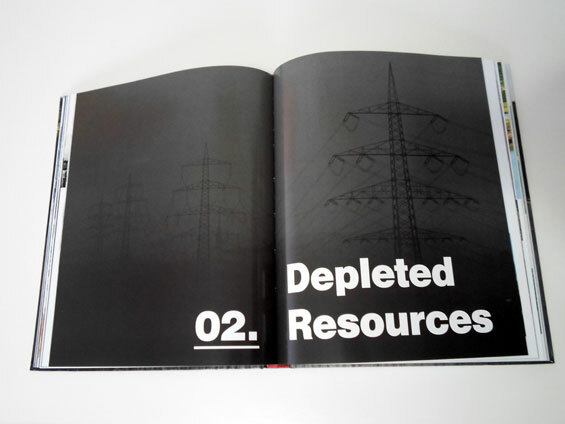 Depeleted Resources, 3. 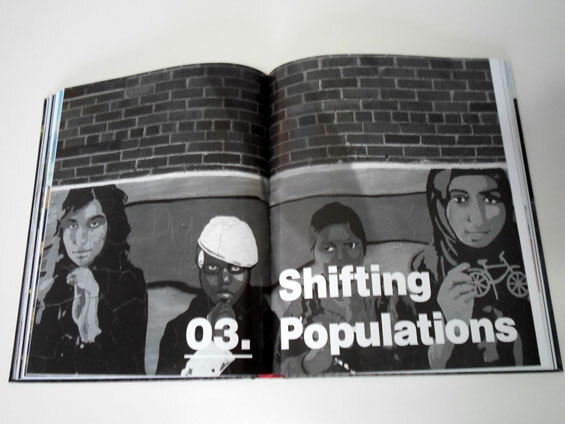 Shifting Populations, 4. 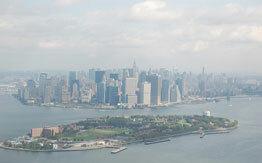 Non-Existent Urbanism. 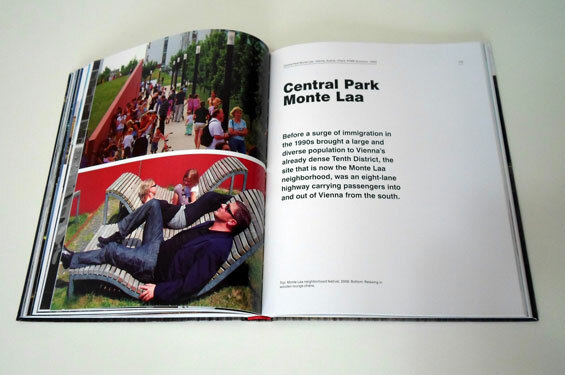 The books foreword penned by Charles Waldheim, John E. Irving Professor of Landscape Architecture and Chair of the Department of Landscape Architecture gives an overview of the last two decades of Martha Schwartz Partners various projects and their transformation of the cities. 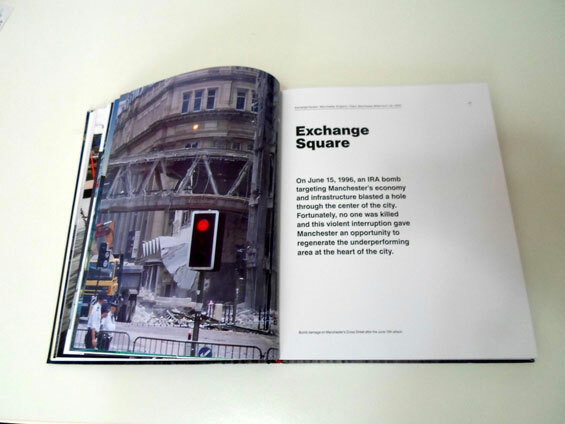 The book differentiates itself from from many landscape texts, as it includes more than just powerful imagery of the projects but also gives some context through historical images, quotes from residents, stakeholders, clients about each project and the effect on their city. 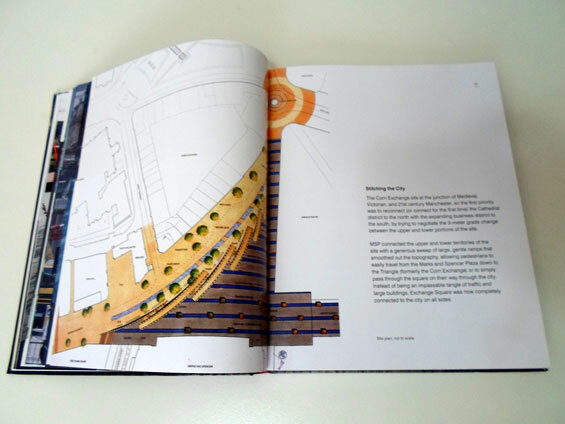 Also included in the book are high resolution plans and conceptual renders of the projects with annotation. 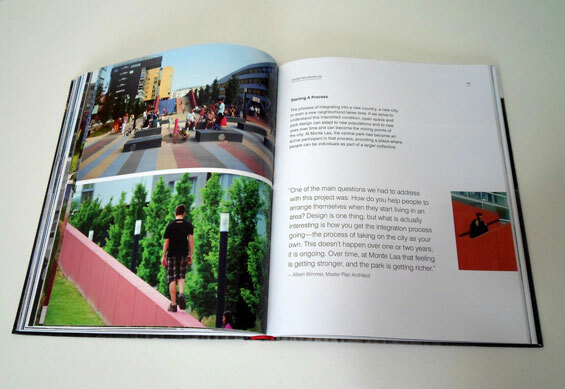 With any landscape architecture book, the photography is key with the images of high quality although some images in this book are grainy, this may have been an editorial/graphic design choice. 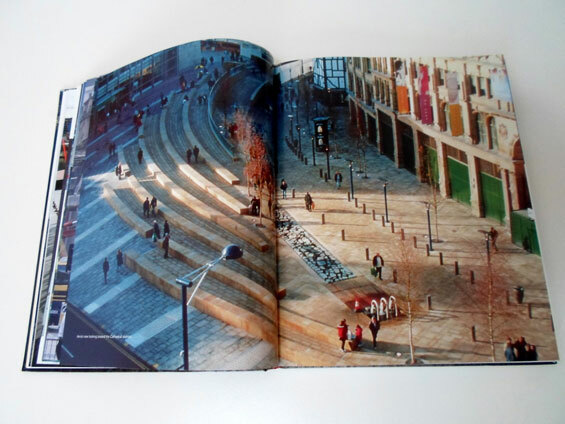 Refreshingly, Recycling Spaces differs from many landscape architecture books in that a large percentage of the project images include people using and interacting with the space rather than static spaces, I hope this is a continuing trend with landscape architecture books. 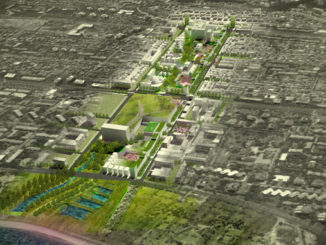 The projects include in Recycling Spaces include the Grand Canal Square, Exchange Square, St. Mary’s Churchyard, Willow Farms Conservatory, Central Park Monte Laa, City of Edessa, Corniche Beach, and many others. 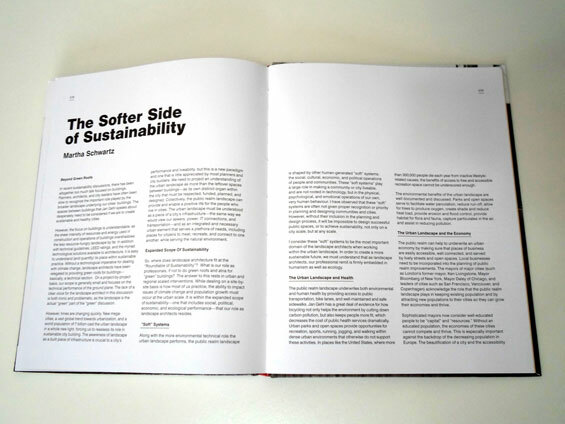 The book covers MSP projects from all over the world including the UK, USA, UAE, Greece, Austria, Canada, with each project summarised in 14-20 pages. 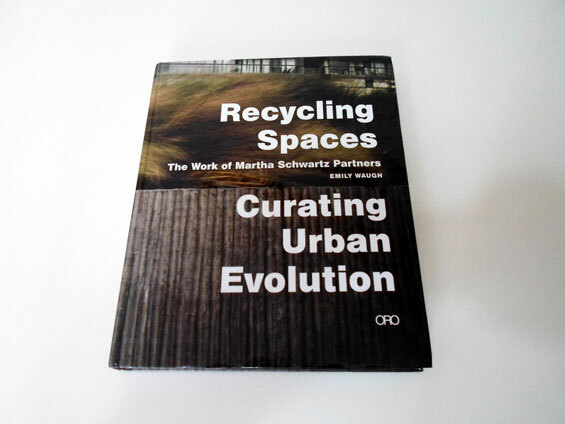 Recycling Spaces: Curating Urban Evolution: The Work of Martha Schwartz Partners is available through Amazon for $33.50 to $36.00 depending on the stocking.